Everything is going according to plan, so far. CBS has renewed its Man with a Plan TV show for season two. 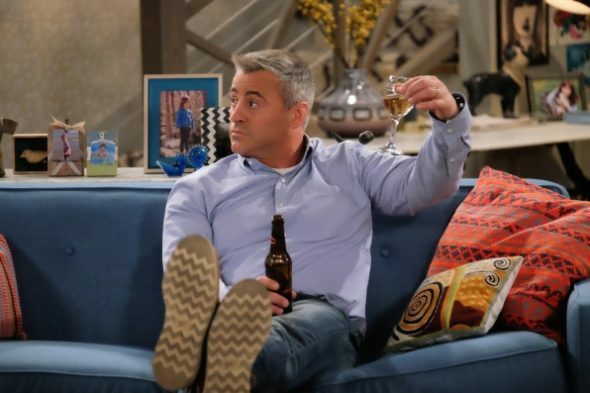 Airing on the CBS television network, Man with a Plan stars Matt LeBlanc, Liza Snyder, Grace Kaufman, Matthew McCann, and Hala Finley, Kevin Nealon, Jessica Chaffin, Matt Cook, and Diana Maria Riva. The first season of Man with a Plan is averaging a 1.31 rating in the 18-49 demographic with 6.60 million viewers. While its total audience isn’t all that big for The Tiffany Network, the sitcom is currently a top 10 series, where its demo numbers are concerned. Find out how Man with a Plan stacks up against the other CBS TV shows. What do you think? Are you a fan of the Man with a Plan TV series? Do you plan to watch the second season on CBS? Really like Man with a Plan much better than Kevin Can Wait. Love ‘Man with a Plan’. Please let us know when it starts again. It is so good! Get rid of all NCIS programs, Kevin can wait, superior donuts and mom.- all of which mean ‘time to change channels’ and we do! !